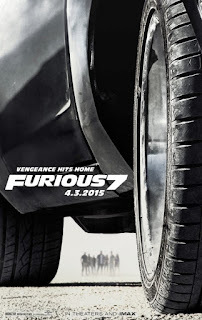 Furious 7 is a 2015 action movie from director James Wan and released by Universal Pictures. It is the seventh installment in The Fast and the Furious movie franchise. Furious 7 is set after the third film, The Fast and the Furious: Tokyo Drift, but follows the events of Fast & Furious 6. 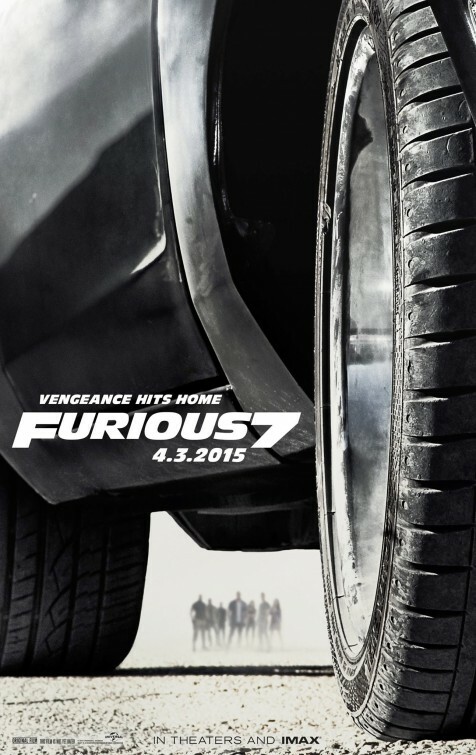 In Furious 7, a new enemy seeks revenge against Dominic Toretto and his family. Dominic “Dom” Toretto (Vin Diesel), Brian O'Conner (Paul Walker), and their friends are trying to live a normal life, but that is a bit more complicated than they imagined. Dom is troubled that his longtime girlfriend and ride-or-die chick, Letitia “Letty” Ortiz (Michelle Rodriguez), is having trouble regaining her memories. Brian struggles with domestic life as a husband to Mia (Jordana Brewster), who is also Dom's sister, and as a father to their small son, Jack. Meanwhile, trouble is brewing overseas. Deckard Shaw (Jason Statham), the older brother of Owen Shaw (Luke Evans), swears revenge against Dom and his racers who defeated Owen (in Fast & Furious 6), leaving him in a coma. Deckard infiltrates the DSS (Diplomatic Security Service) office in Los Angeles to get information on Dom and company. In the process, Deckard severely injures Luke Hobbs (Dwayne Johnson), who brought Dom and his race team into his hunt for Owen Shaw. After Deckard launches a series of attacks on his friends and family, Dom reunites Brian, Letty, Roman Pearce (Tyrese Gibson), and Tej Parker (Chris “Ludacris” Bridges), to find Deckard. They get help from Frank Petty (Kurt Russell) a.k.a. “Mr Nobody,” the leader of a covert ops team. However, Deckard finds an ally in Mose Jakande (Djimon Hounsou), a mercenary and terrorist who leads a private military company. Now, all parties are chasing Ramsey (Nathalie Emmanuel), a computer hacktivist and her creation, God's Eye. One cannot talk about Furious 7 without making note of the death of actor Paul Walker in November of 2013. Walker and Vin Diesel were the face of The Fast and the Furious franchise. Walker was only half-finished with the scenes he needed to film for Furious 7 when he died. Stand-ins for Paul, including his brothers, Caleb and Cody Walker, and the judicious application of computer-generated imagery were used to finish the rest of Walker's scenes. Other than for a few scenes and some dialogue/audio, I could not tell the difference between Paul and the Paul stand-ins. Besides, Furious 7 is so full of over-the-top, eye-popping, and breath-taking action scenes and sequences that my focus was on taking it all in and not on detecting real-Paul vs. faux-Paul. Yes, Paul's death hangs over Furious 7, but not in a morbid way. This film is a celebration of the work for which Walker is best known and for which he will be best remembered. I do find Furious 7 to be a little too long, but there is no point in talking about the art of filmmaking when it comes to Furious 7. Yes, it is well acted, surprisingly so. James Wan seems superfluous as director; any of the three directors who have helmed previous installments of this franchise could have directed this film. The script is half well-written, in terms of drama, and half-ridiculous, as the screenplay for a movie like Furious 7 must be. When talking about Furious 7, we must talk about the action. I loved the Predator drone; the multi-million dollar sports car driven through three skyscrapers; the Caucasus Mountains sequence that begins with five vehicles dropped from an airplane; the Tony Jaa-Paul Walker fights; and the awesome Dwayne Johnson-Jason Statham fisticuffs, to name a few. This is not a great film, but it is fast and furious. So why let Furious 7 be the last one? Keep 'em coming.